Lets be real, shopping online is super easy these days. From Amazon Prime to stores like Shopbop & Revolve, they have made it super easy to become a shopaholic. This is when my hacks come into play, to stop you from automatically putting in your card number and spending more than you should have or spending too long trying various coupon codes. I've had my Pinterest since I was about 12 I'm pretty sure and it's become a part of my routine. Usually when I find something online and they don't have my size, or I want to save it for when I save up my money, I pin it on my Wish List board. Follow me if you want to keep up with my wish list or all the current trends/recipes/travel ideas I've keep pinning! On sites such as Revolve, Shopbop, or Polyvore, they allow you to create an account and favorite any item you like. Then get updates when the items go on sale. 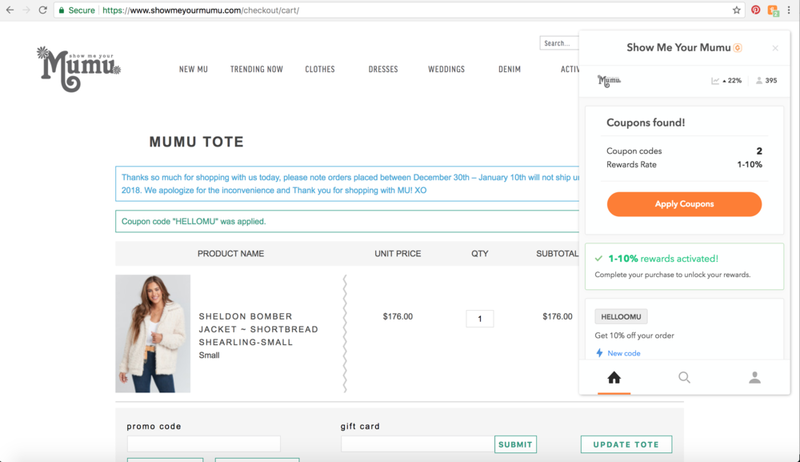 If you're constantly bombarded with emails from retailers, clean up your inbox with Unroll. Unroll allows you to view all your email subscriptions and unsubscribe easily. Then it sends you monthly updates letting you know if your account has been added to other email lists so you can unsubscribe from them as well.